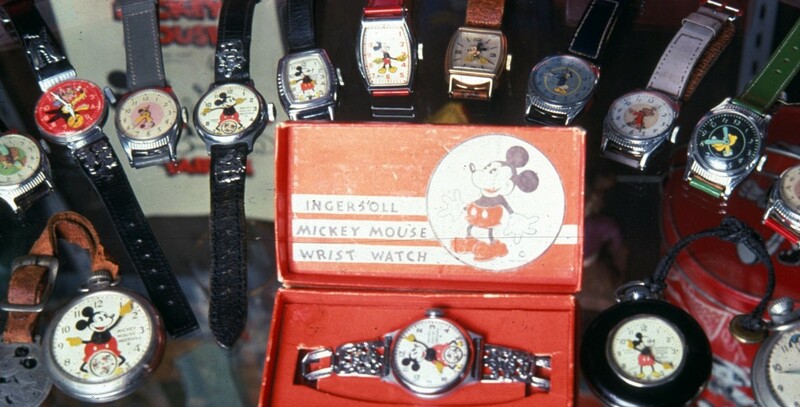 Watches The original Mickey Mouse watch was manufactured by Ingersoll in 1933, and sold for $3.25, later lowered to $2.95. They also made a pocket watch at the same time, selling for $1.50. The original wristwatch had a round dial, and featured three tiny Mickeys on a disk that indicated the seconds. 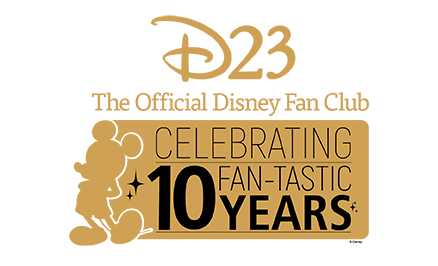 These early watches have become some of the most sought-after types of Disneyana collectibles. The Mickey Mouse watch has been made continuously since 1933, though there was a period in the 1960s when only the words “Mickey Mouse” appeared on the dial. Ingersoll became U.S. Time, which became Timex. One of the more interesting watches was a backward Goofy watch. The numbers were placed in backward order and Goofy’s hands moved backward as well. It took some effort to learn how to tell time backward, but the watches became popular collectibles after their 1972 manufacture by Helbros. It originally cost $19.95 and within two decades was up to about $700 on the collector market. In a program of reproducing some of the classic Disney watches, The Disney Store selected the backwards Goofy watch as the first in their series of reproductions. In 1972, Bradley, a division of Elgin National Industries, Inc., took over the manufacture of Disney watches, and in 1987 the contract went to Lorus. Today a number of different companies make Disney watches.